Grammy Awards, the most awaited music award show is just in the brink and it has listed various huge stars that will be performing this year 2019 Grammy show which include Camila Cabello, Cardi B and various other hit stars. Music Industries most prestigious award Grammy Awards marking 61st this year 2019 will yet again one of the most anticipated music awards this year and music industries hit artists will surely be performing this year as well from Cardi B, Camila Cabello to Shawn Mendes and many more. The Recording Academy revealed on January 17 the list of the music artists who will be performing this year. 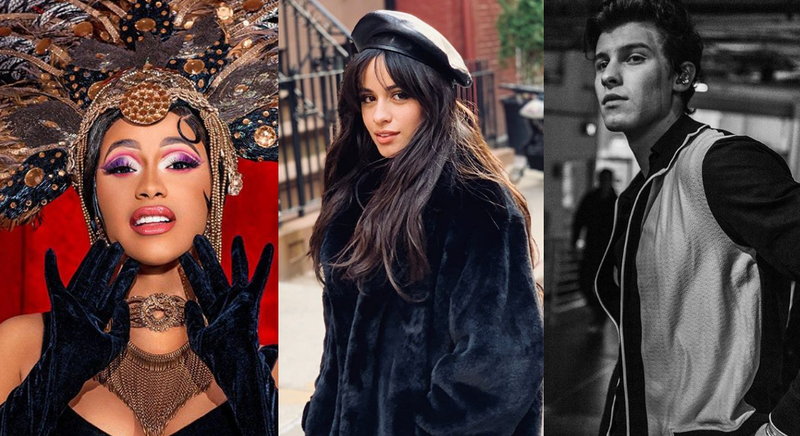 The list includes hit music artists like Camila Cabello, Cardi B, Dan + Shay, Post Malone, Shawn Mendes, Janelle Monáe and Kacey Musgraves who will be blessing their fans with epic performances in the stage at the big show. This will be the first ever performance of Kacey’s and Shawn’s first ever time performing at music’s biggest night. Alicia Keys will be hosting the show. 61st Grammy is to held on live from the Staples Center in Los Angeles, on Sunday, Feb. 10. The show will be broadcast live in HDTV on CBS starting at 8:00 p.m. This is the initial announcement of the performs because even more performers are set to be announced.